Home / The ePromos Difference / Press Releases / ePromos Acquires Assets from Motivators, Inc.
ePromos Acquires Assets from Motivators, Inc.
ST. CLOUD, MN. June 19, 2017 – ePromos Promotional Products, Inc. today announced that it has completed the purchase of select assets from Motivators, Inc. a long-time player in the online promotional products and corporate apparel space. 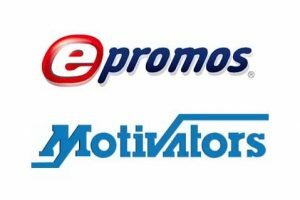 The Motivators.com and its staff will continue to operate under ePromos’ direction at their Westbury, New York location. Founded in 1998, ePromos is ranked #31 in revenue among over 22,000 companies in the promotional products industry. ePromos has two divisions: ePromos.com, which serves businesses though its proprietary website and over 60 highly trained Brand Consultants, and, ePromos Brand Solutions, an agency that provides highly customized merchandise and fulfilment solutions to enterprise clients. ePromos has been recognized multiple times on the Inc. 5000 list, and has received more than 25 web awards and marketing accolades, as well as seven “Best Places to Work” awards. ePromos’ primary goal is to enhance the power of its customers’ brands by using custom merchandise and logo apparel.